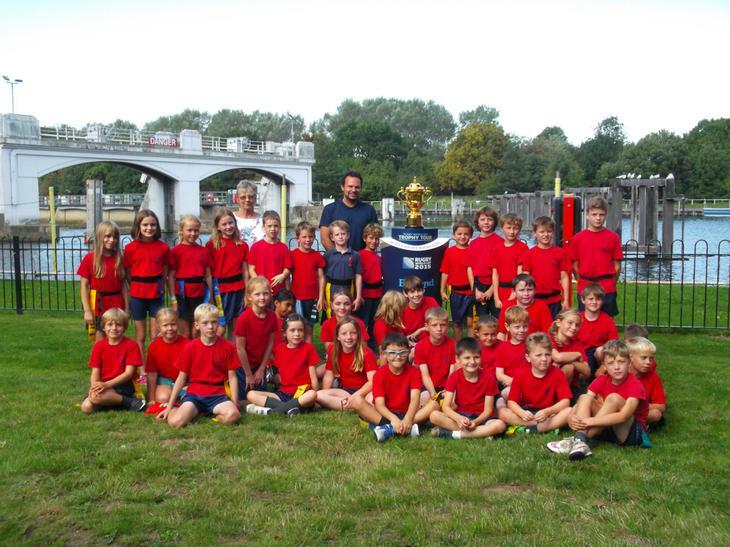 On Thursday 10th September 35 lucky Collis children embarked on a trip to The Lensbury Club to catch a glimpse of The Rugby World Cup Trophy. They were also fortunate enough to take part in a coaching session with former England Rugby ace Phil Greening. They were the first players on the brand new training pitch that will be used by the All Blacks and Springboks during the World Cup. A wonderful time was had by all. The highlight of the day for many of the children was squeezing Mr Greening’s fantastic cauliflower ears!! !